We are here to ensure that all the items needed in the first phase of an emergency response are held in sufficient quantities, in one place, ready to go. 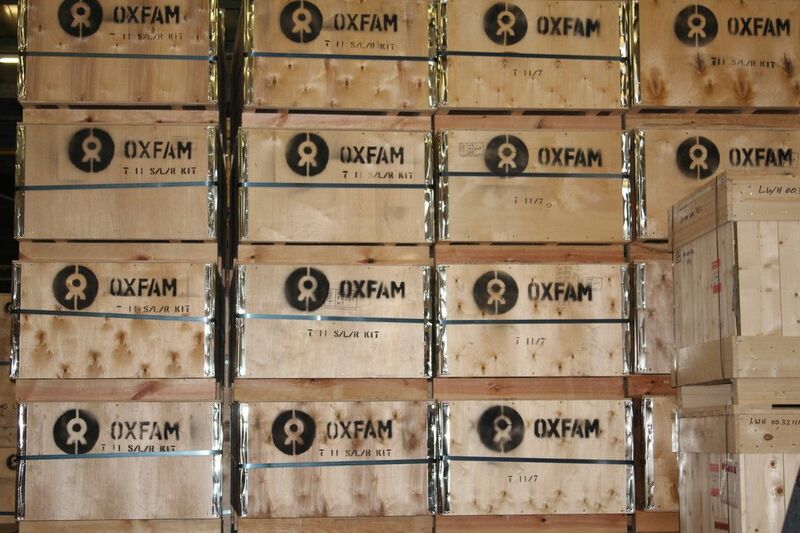 This is why Oxfam has invested in a permanent warehouse and staff, and over €1.5m in Supply Centre stock. The vast majority of items in this catalogue are held in permanent stock in our Bicester Warehouse. These items are marked “Ready to Ship: 2 days” on the product pages. This means that we hold the item in stock and will need no more than two days to prepare the order ready for dispatch. Note that actual times to dispatch may vary depending on freight availability, detailed export documentation requirements, etc. There are certain other items which are marked Ready to Ship within two weeks, or six weeks. These items are typically not required in the first phase of emergency response and are not usually held in stock, but we have supply arrangements in place with our suppliers to make them available within a fixed lead-time.